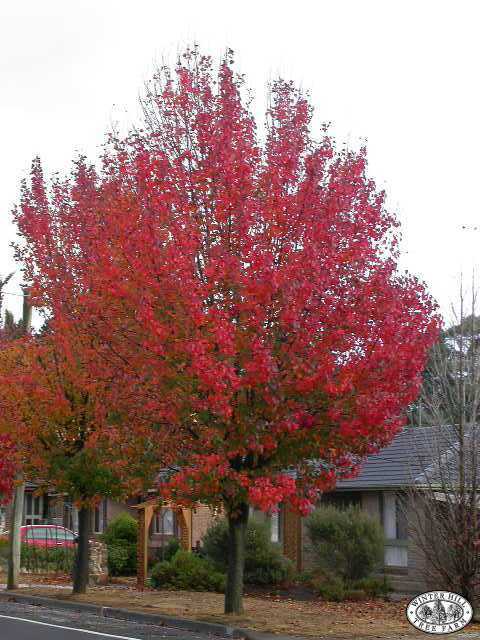 A hardy, deciduous, ornamental pear suitable for a wide range of climatic conditions. Pyramidal in shape when young becoming broad with age. Heart-shaped leaves, bright glossy green, turning multi-hued in late autumn. Has masses of white flowers in Spring. Prefers well-drained soil in a sunny position. Can be semi-evergreen in milder climates.